Manufacturer of a wide range of products which include amaron ups battery, amaron quanta battery, quanta smf battery, exide smf battery and rocket smf battery. 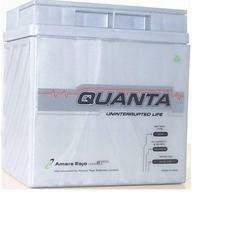 We are pleased to introduce ourselves as a reliable trader of Amaron Quanta Amaron UPS Battery. 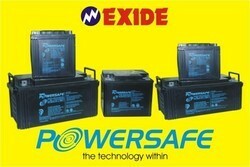 Ideal for UPS applications, these are designed and developed for longer and safe performance. We offer these in different sizes and specifications to meet the exact application demands. Our range of Amaron batteries is offered to clients at market leading prices and within the stipulated time period. 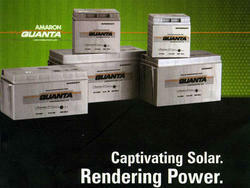 It is a Product of world class battery technology produced and tested in Amara Rajaâ€™s premier VRLA manufacturing facility, supported by technology expertise from alliance partner Johnson Control Inc. A market leader in just 10 years, Amaron Quanta is a preferred 12V VRLA SMF battery brand by most of Indiaâ€™s reputed UPS manufacturers and customers across various segments like Banks, IT Companies, BPOs, Industries, Government Departments, Hospital, and Education Institutes etc. 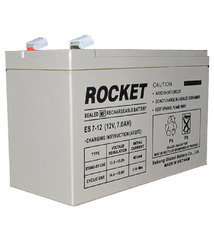 Rocket SMF Battery is a world class brand manufactured by Global Battery Co. Ltd. Korea (Formerly known as Global & Yuasa Battery Co. Ltd) which was established in the year 1952. It has entered into a capital & technology association with the Yuasa Corporation of Japan, a world famous battery manufacturer. Today Global produces over 11.5 million storage batteries for use in automobiles, motorcycles and various industrial as well as VRLA batteries. Technologies synergised over the past 46 years within Global and the advanced technologies from Yuasa have been successfully integrated into Global's products to earn worldwide respect. Over 50% of the local market share now belongs to Global. Over 7 million units are exported to more than 140 countries around the world. ROCKET has proven to be a very robust and reliable product in the existing battery market operating under various Indian climatic conditions.